Franklin Downtown Partnership: PayPal Button Fixed! It has come to our attention that several members were trying to pay their 2018 memberships online but our PayPal link was broken (see right, just above our Facebook link). We are sorry for any inconvenience. The button is now working again! Thank you for your patience, and thanks for renewing your membership! 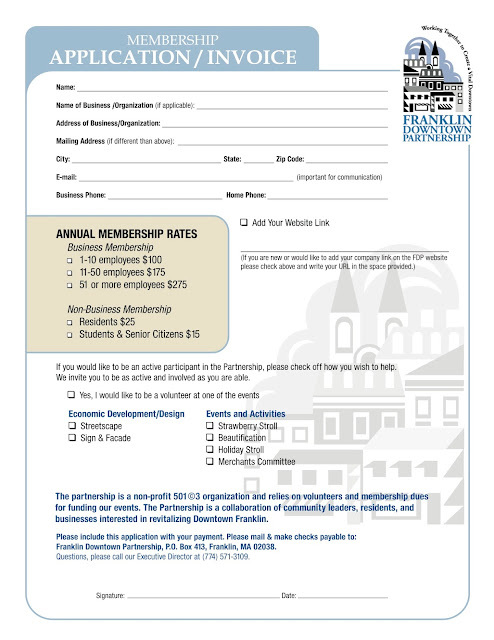 Need a membership form? Download it now. Strawberry Stroll 2019 Coming Soon! Looking for downtown space? 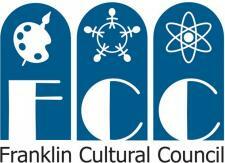 The Town of Franklin website has a useful tool that locates all of the available space in town. Go to http://franklinmasiteselector.com and plug in your requirements. From the Town Website, http://www.franklinma.gov, click on the Franklin Development link on the bottom right of the photo. Doherty, Ciechanowski, Dugan & Cannon, P.C. Draper & Kramer Mortgage Corp.
Franklin Girl Scouts of Eastern Mass. Michael Dunsky, Draper & Kramer Mortgage Corp.
Vet Med Pet Supplies Co.